The Casual Eclectic Collection combines classic silhouettes with new material combinations and hardware and mixes them with an urban inspiration. On this style, an Aviator Nylon material is used, inspired by the MA-1 jackets, complete with bold linings. 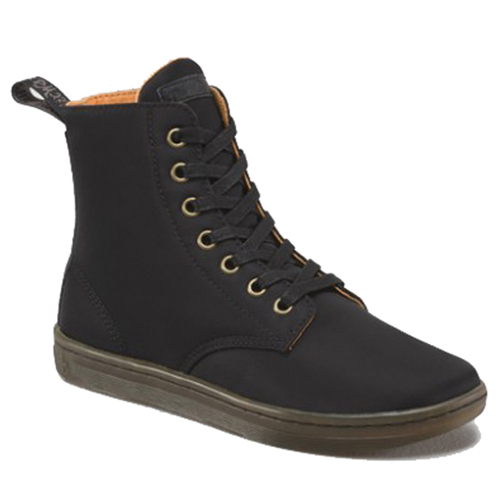 The distinctly Dr. Martens boot sits on a trans sole.